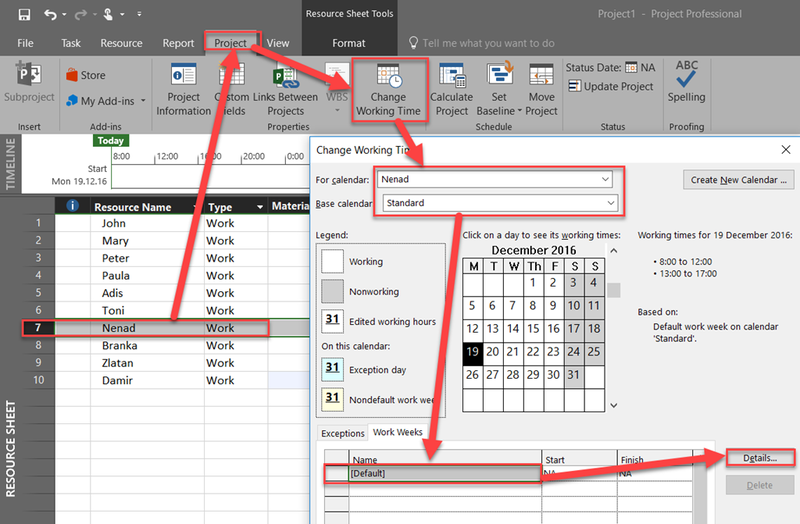 after my Post “Different weekends for Resources in MS PROJECT 2016”, there was a lot of discussion, that a problem can be solved with Resource Calendars, and that be will be the best way. Yes, it can be done like that, and no, this is not always the best solution. 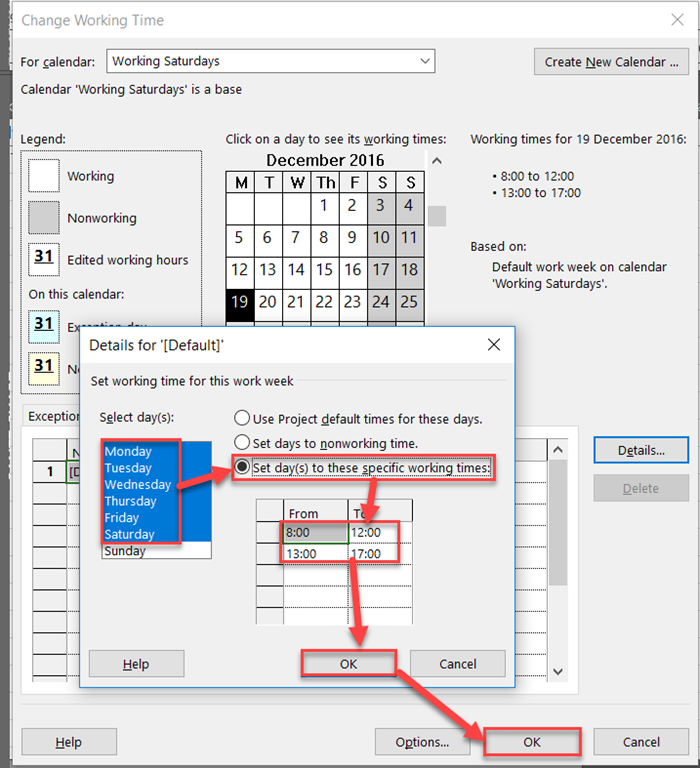 so I will show when is best to use Resource Calendars in MS PROJECT 2016. As you can see, I will work on that Task at Saturday. As you can see, only Adis will not work at Saturday. 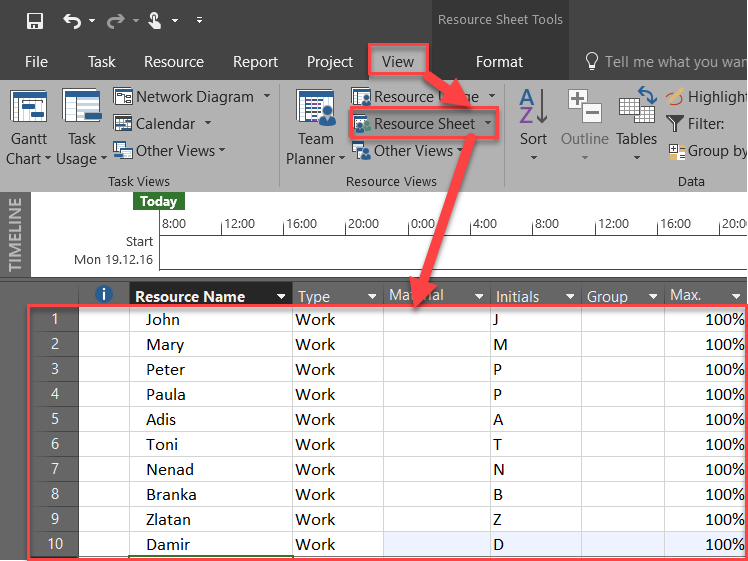 Now, again, when to use Resource Calendars. From my point of view when multiple Resources share same Working Time, and Exceptions (like days off, Holidays, etc.9. When you have only one or two Resources with same Working time, and/or Exceptions, you can modify Standard Calendar for them. it is shorter way. 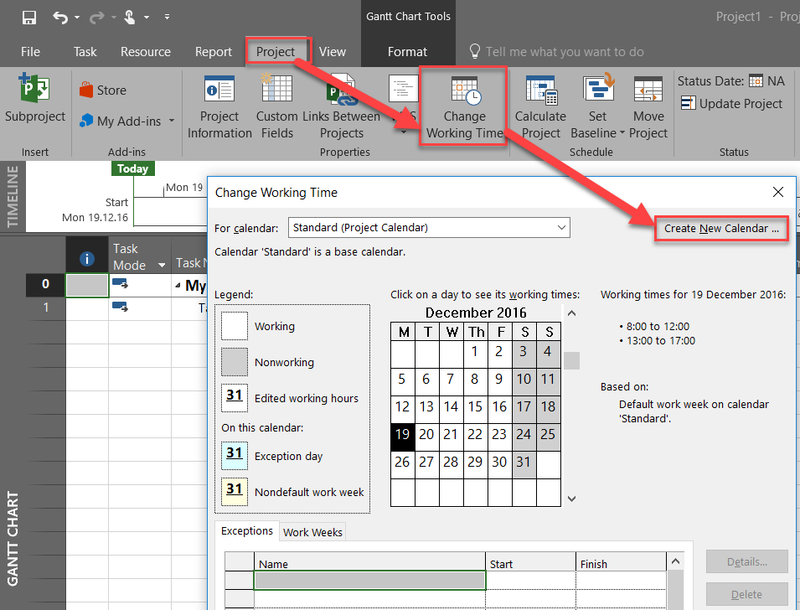 Of course, when you have only one Resources with different working time you can create Resource Calendar as well, but you don’t have to, and that is not the shorter way. And, for the end, let’s say that Mary, has day off at Wednesday, 12/21/2016. 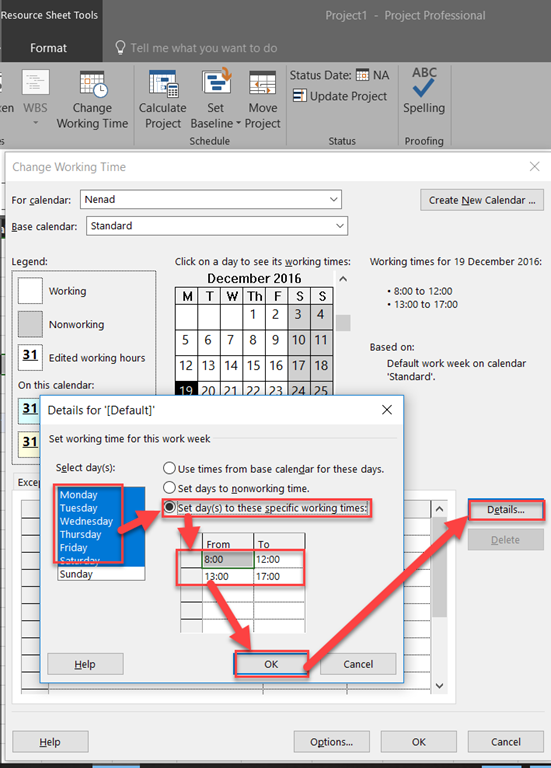 You can now follow steps described in my first example and change Working Saturdays Calendar just for her, or you can create separate Calendar for her (Mary’s Calendar, for example), but again, it is not the shorter way to do it. So it is up to you which approach will you take. 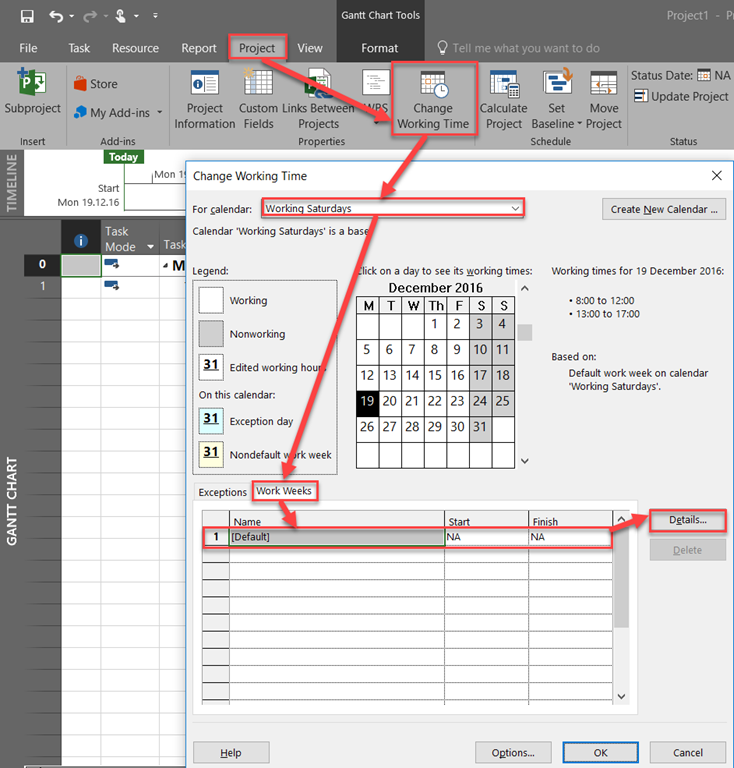 This entry was posted in MICROSOFT PROJECT, Micsrosoft Project 2016, MS PROJECT 2016, PMI, PRoject Management and tagged Micorosft Project 2016 - calendars, Micorosft Project 2016 - Resources, Microsoft Project 2016. Bookmark the permalink. Very Goody! Usefull tip, clear and easy to understand. Thank you!